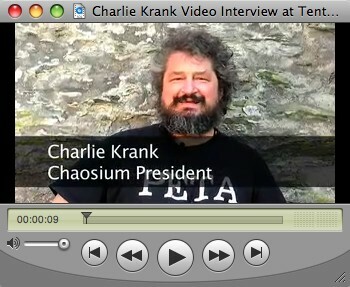 Patrons can have an advance (unedited) look at the Charlie Krank video interview from Tentacles 2008. A form of this will be appearing on the YSDC 10th Anniversary DVD. 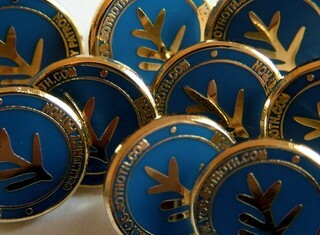 Recently arrived, we've got in a series of cloisonnÃƒÂ© badges available to Community Patrons. Full audio version of our Ramsey Campbell interview is now available to Patrons. A post-interview chat (widescreen video) is also available. A more personal perspective on news, advance info and behind the scenes going on at olde Yoggie and more. First installment comes in at over 20 minutes. My ability to keep on talking will surprise no one. Patrons now have access to a post-interview chat with Larry DiTillio (author of Masks of Nyarlathotep). It includes some interesting behind-the-scenes info. on Babylon 5 and Larry's time on the show, along with convention experiences with Sandy Petersen. The main interview (which deals specifically with Masks) will be appearing on the 10th Anniversary DVD. The latest edition of the Phantasmagorical Audio Diary is out. I cover a number of items including the DVD Fundable, Yog Radio series 2, Walker in the Wastes audio game and more mythos mumblings! Made at Game 08 games convention in Manchester (UK). New entry in the Phantasmagorical Audio Diary. 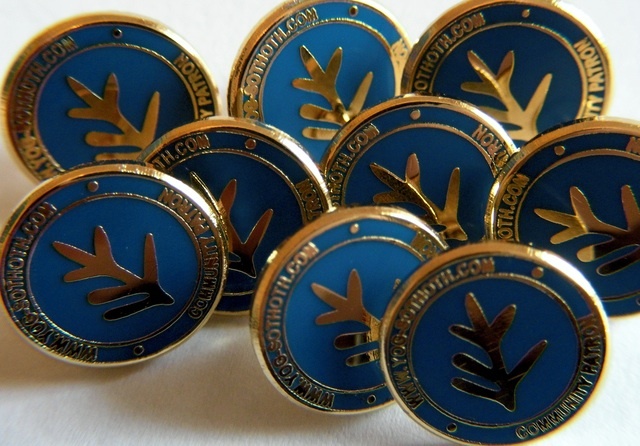 What I've been up to and what's coming up, including a clip from an interview with Mark Barrowcliffe (The Elfish Gene) which will be appearing in Yog Radio #33. Follow-on chat with Andrew Migliore (interviewed in Yog Radio #32). HPL Film Festival and Homeland Security. Submission formats for the Festival. Suggestions for beginning film makers. Yog Radio #33 (Nov. 08) will feature an interview with Mark Barrowcliffe, author of The Elfish Gene. Yoggie Patrons now have advance access to the follow-on chat we did after the main interview, with more of Mark's views on roleplaying, computer games and fantasy fiction. Very shortly after the last one, Phantasmagorical Audio Diary 008. New Phantasmagorical Audio Diary entry. Various musings and behind-the-scenes info. including, the YSDC DVD, the 5000, Brian Lumley extras, forthcoming interviews, conventions & films! H.P. 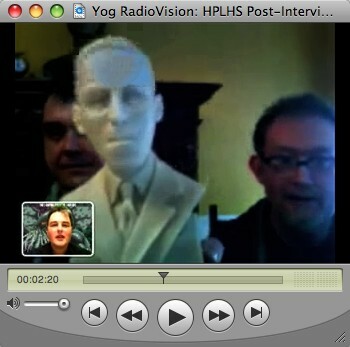 Lovecraft Historical Society post-interview video chat. Keith 'Doc' Herber post-interview video chat. More updates on the YSDC 10th Anniversary DVD, background info on the 3D film test, Fright Nights, motivation in Yog Radio and Victorian roleplaying. Covering: DVDs, Routers, Advertising, Yoggie at UK Games Expo, Shadows over Filmland, latest audio releases and forthcoming interviews. 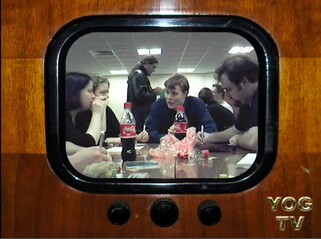 - and in the meatime many things since, including vintage footage of UK Student Nationals past and rare video recordings of homebrew BURPS games like Ninja! Ninja! Ninja! Following on from Yog Radio #35, there's a post-interview chat with Stuart "Re-Animator" Gordon available to Yoggie Patrons. Yog Radio #36 will feature an interview with Charles Stross (author of The Atrocity Archives among several others). Yoggie Patrons can pick up the post-interview chat we did with CS right now - where he talks about RPG, Comic & Sci-Fi conventions, eReaders & eBooks, Amazon, his web habits and further background details about his career. 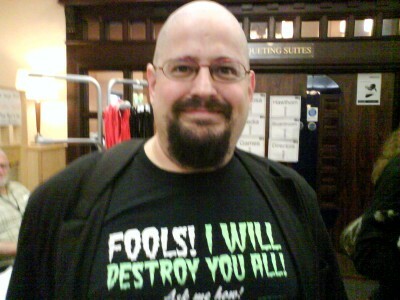 Charles Stross, author of The Atrocity Archives. 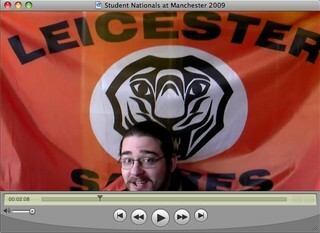 I've put a short film together of some of the BURPS experiences of the 2009 UK Student Nationals at Manchester. Much fun was had! Just what is Dean doing with Leicester's flag...? You can also see video footage our GM's chopper in action. See the full evolution of the YSDC 10th anniversary DVD cover stage by stage. Also, copies of The Baxter Reports for Worlds of Cthulhu that never appeared in print.